Here's a precursor to "the golden eyes of the mesmerized alligator" (George Newtown, in Louisiana in Words). 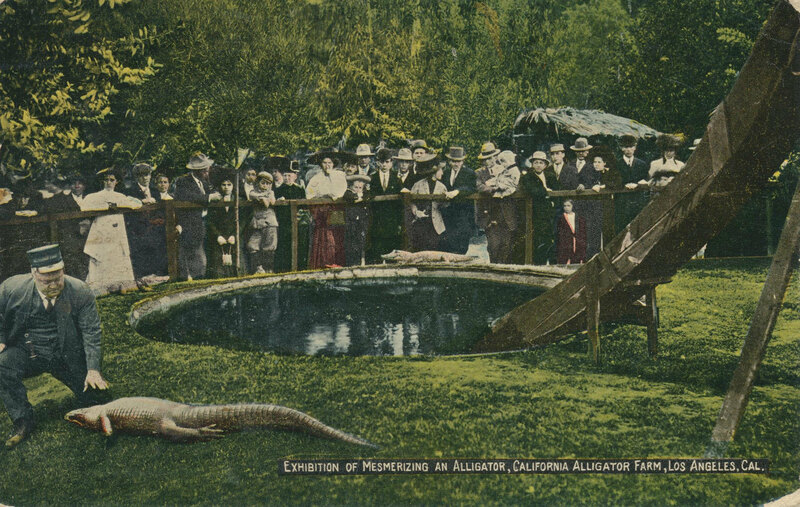 The postcard caption reads: "Exhibition of mesmerizing an alligator, California Alligator Farm, Los Angeles." Date uncertain.